The former political editor of the Daily Express has said the paper “must not be turned into a toothless tiger” under new owners Trinity Mirror. Patrick O’Flynn, who is now a UKIP Member of European Parliament for the east of England, has also called on the publisher to make assurances that Hugh Whittow will be kept on as editor. 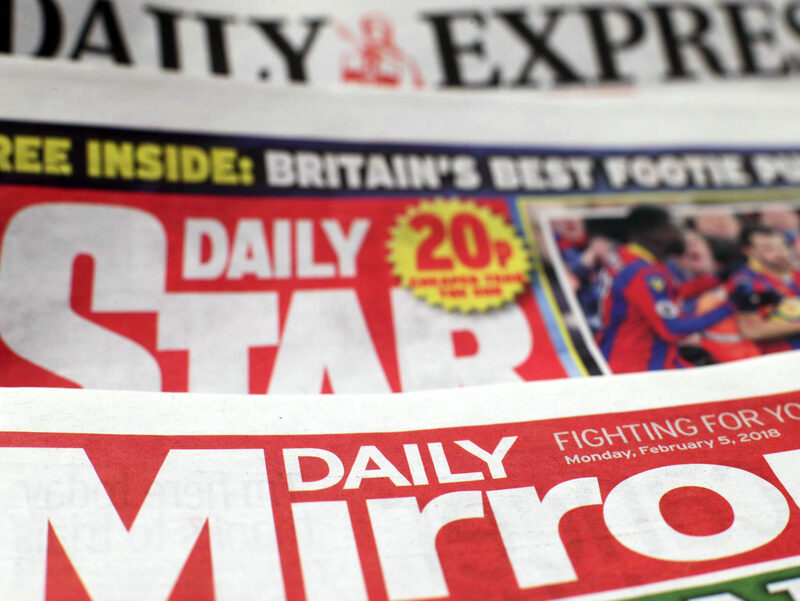 Trinity Mirror has agreed a £127m deal to buy the Daily Express, Daily Star, Sunday Express, Daily Star Sunday and Ok! celebrity magazine, which is expected to be completed this month. O’Flynn, writing in a blog post, said the deal had “understandably been greeted with concern by many long-term Daily Express readers”. Although Trinity Mirror chief executive Simon Fox has said that editorial decisions will be left “entirely in the hands” of editors and the Express was “not going to become left-wing”, O’Flynn has said that “does not mean new ownership will have no effect on [the paper’s] editorial outlook”. He said: “When I was first political editor and then chief political commentator of the Daily Express, the senior editorial team I was part of created a persona for the paper which was not just right-of-centre but also ready to campaign on issues that the political establishment sought to suppress. O’Flynn said he doubted whether Trinity Mirror would have given the green light to his pitch in autumn 2010 to make the Express the first paper in Fleet Street to campaign for Brexit had they been its proprietors. But, he added: “These are different times and I fully acknowledge that the increasingly difficult economics of newspaper publishing do mean that consolidation of ownership has a certain logic to it – especially in regard to the ability to achieve economies of scale on back office functions. “But if Trinity Mirror is to win the consent of Daily Express readers for the takeover, it needs to do more than simply assert the paper won’t be turned left-wing. “So I will be writing to […] Simon Fox shortly to request a meeting and to seek further assurances about his group’s plans. “In particular, I think it would be hugely reassuring to Daily Express readers were Fox to make clear that Trinity Mirror intends to keep Hugh Whittow in place as editor rather than imposing its own placeman into the role. O’Flynn, who also worked as chief political commentator at the Express before leaving in February 2014, said the paper’s new owners needed to understand its role in “taking up issues that larger, less courageous competitors only later get involved in”. He added: “In the interests of a diverse media sector, the Daily Express must not be turned into a toothless tiger but must continue to have licence to upset establishment apple carts in the interests of its patriotic readers. “If Trinity Mirror can guarantee that then the takeover may well turn into a good thing. Patrick Flynn is right to hope that the Express will maintain independence. The paper, which I left three years ago after 21 years as feature and news colour writer, has suffered from lack of funds at the hand of Richard Desmond. Hugh Whittow has done his best, although I am bound to admit that Peter Hill was an excellent and determined editor. The Express has been one of Britain’s greatest papers, but is now reduced to a thin shadow of little influence. Let’s hope Trinity Mirror will help it recover some of its status.